The most intelligent people are often also the most likely to fall for a scam. 60 Minutes' Morley Safer talks to con experts and their victims about the slippery science of gullibility. A look at the list of the Madoff victims would seem to confirm his contention. I also asked the man who wrote the book on gullibility—literally. Stephen Greenspan, a psychologist and the authority on gullibility, is the author of Annals of Gullibility: Why We Get Duped and How to Avoid It. Before he answered, he confessed that two days after receiving the first finished copy of his book from the publisher, he learned that he had lost $400,000 of his retirement nest egg to none other than Bernard Madoff. Professor Greenspan—by the way, no relation to Alan Greenspan, one of the unwitting godfathers of the financial meltdown—says our defenses against conmen are compromised by anxiety, by that awful feeling that we are losing out, that others, friends, family, are getting fabulously rich while we are just getting by. In other words, it is the anxiety of envy and greed that drives us into the welcoming arms of Madoff, et al. And then there are the Pigeons. Both the winged feathered kind, and the earthbound humanoids, waiting to be plucked. It starts with Arlan Galbraith, who hails from the northern reaches of Ontario, Canada, a plain-faced, salt-of-the-earth fellow who favors Iron Boy overalls. Mr. Galbraith traveled the breadth of Canada and rural America marketing a scheme that he said would make hard-pressed farmers rich. He exuded that charmless charm of Canadians, that excessive politeness and probity that drives them to say please and thank you to ATM machines. Pigeons would be the salvation of the family farm. Pigeons for the dinner table. A pigeon in every pot, a balance in every bank account. Galbraith claimed he had contracts for millions of birds for Asia and the Middle East. The Saudis were salivating for North American birds, and Mr. Galbraith's Pigeon King enterprise would satisfy the hunger. It turned out there were no contracts, but Galbraith had taken in the neighborhood of $40 million from American and Canadian farmers in exchange for what he called breeding stock, pairs of pigeons he sold them before Pigeon King went bankrupt. I asked Aaron and Joline Humbert, Ohio farmers who had borrowed a quarter of a million dollars from their bank to get in on the pigeon bonanza, if they felt guilty or stupid about the investment. "Yeah," Aaron said, "I shoulda gone to Vegas and put it all on red." Morley Safer's report airs on 60 Minutes this Sunday, Feb. 14, at 7 p.m. ET/PT. 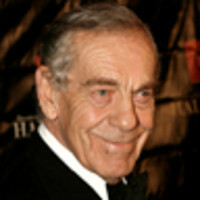 Morley Safer has been a 60 Minutes correspondent since December 1970. Prior to joining CBS News in 1964, Safer was a correspondent and producer with the Canadian Broadcasting Corporation. He began his career as a reporter for a variety of newspapers and wire services in Canada and England.